The Power of Song music contest has cash prizes for the winners. PINELLAS COUNTY – The Power of Song, as part of the Dr. Martin Luther King Jr. Day of Service, St. Petersburg, announces the Third Annual Power of Song Music Contest for Pinellas County students. The Power of Song, showcases the talents of Pinellas County students through its music contest, and awards $850 in cash prizes. The first place winner will receive $500 and a trophy as well as perform as the opener for the 2017 production of the Sounds of the Civil Rights Movement: The Power of Song at the Palladium Theater. In addition to the first place award, a second place winner will receive $250 and third place will receive $100. The production includes three performances: 3 p.m. and 7 p.m. on Jan. 8 and at 7 p.m. on Jan. 9. Students must record a video of themselves performing a song from the Civil Rights Movement, whether with a dance, vocal, or instrumental presentation. 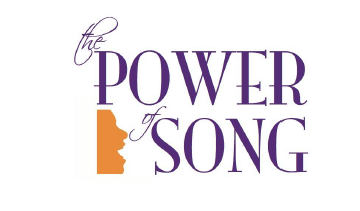 Videos must be one minute or less in length, and submitted via email to contact@thepowerofsong.org . All submissions must include the student’s name, age, grade and school. Deadline is Friday (Dec. 2). Videos must follow the established criteria in order to be eligible for the contest. For information, go to thepowerofsong.org.